Parents, if you are in need of a few hours of peace and quiet, then we have got you covered! 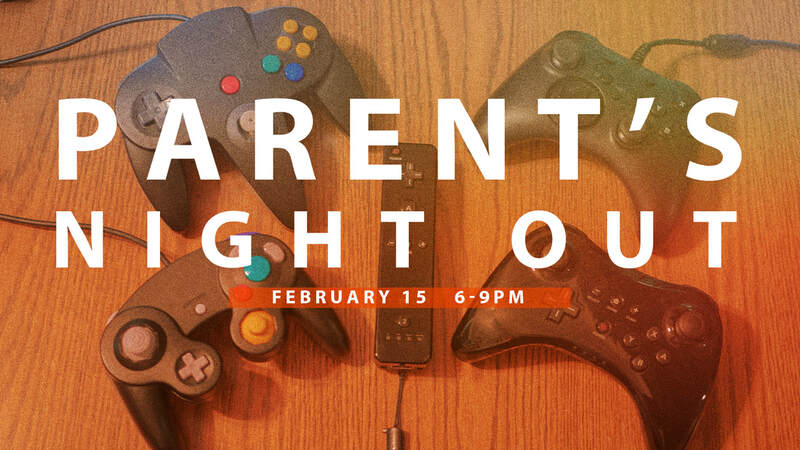 We will be hosting a parent's night out at Life Church! This will occur on Friday, February 15th. You can drop off your child (8th grade and under) anytime during the evening, beginning at 6pm and pick up your child by 9pm. We will be eating pizza right at 6pm and then playing family friendly games such as Mario Kart, Super Smash Bros, and Just Dance. Our trained volunteers will provide a fun night out for your kids in a Christ-centered and safe environment! You can email us here with any questions or with the amount and age of the children who will be attending the event.